Sterling G. Bradley was named a Missouri State University Outstanding Alumnus in 1991. DURHAM, NC, September 21, 2018 — Marquis Who's Who, the world's premier publisher of biographical profiles, is proud to present Sterling G. Bradley, PhD, with the Albert Nelson Marquis Lifetime Achievement Award. An accomplished listee, Dr. Bradley celebrates many years' experience in his professional network, and has been noted for achievements, leadership qualities, and the credentials and successes he has accrued in his field. As in all Marquis Who's Who biographical volumes, individuals profiled are selected on the basis of current reference value. Factors such as position, noteworthy accomplishments, visibility, and prominence in a field are all taken into account during the selection process. Amassing more than 60 years of professional experience, Dr. Bradley is a respected and versatile biotechnology leader who most recently served as the principal and interim director of technology development of BB BioCritique, Inc., from 2009 until his retirement from the firm in 2011. In addition, he was the interim director of technological development, a visiting professor of biochemical molecular biology and pharmacology, and a visiting professor of the humanities at Pennsylvania State Hershey Medical Center between 1999 and 2012. Prior to these appointments, Dr. Bradley was the vice president of academic affairs at the University of Maryland Biotechnology Institute from 1996 to 1999 and the dean of basic health sciences and professor in the pharmacology and microbiology departments between 1979 and 1996, when he reached emeritus status. Previously, Dr. Bradley commenced his career as a graduate teaching assistant at Northwestern University, rising to the ranks of research fellow and biology instructor by 1954. He then accepted a position as an instructor in the bacteriology and immunology department at the University of Minnesota, soon becoming an assistant, associate and full professor by 1968. In addition, he served in the graduate faculty of genetics from 1961 to 1964 and as chairman of the genetics faculty group at the university. Thereafter, Dr. Bradley relocated to Virginia Commonwealth University, serving as chairman of the microbiology department from 1968 to 1982. Alongside his private endeavors, Dr. Bradley was a visiting worker in Pharmacology at Cambridge University in 1978, on the National Institute of Allergy and Infectious Diseases board of scientific counselors and chairman between 1968 to 1972, and member of the International Committee of Bacterial Systematics from 1966 to 1974, being on the executive board from 1970-1974. Likewise, he served the U.S. Pharmacopeial Committee of Revision as a member, Project 3 U.S.-USSR Joint Working Group on Microbiology as coordinator, and the Foundation of Immunotoxicology as vice president. Civically, Dr. Bradley was the former trustee of the Southeastern University Research Association and on the board of directors of the Science Museum Virginia Foundation between 1990 and 1998. To prepare for his illustrious career, Dr. Bradley pursued formal education at Missouri State University, where he earned both a Bachelor of Arts and Bachelor of Science in 1950. He subsequently received a Master of Science from Northwestern University in 1952, moving on to obtain a Doctor of Philosophy on a National Science Foundation fellowship from the university in 1954. 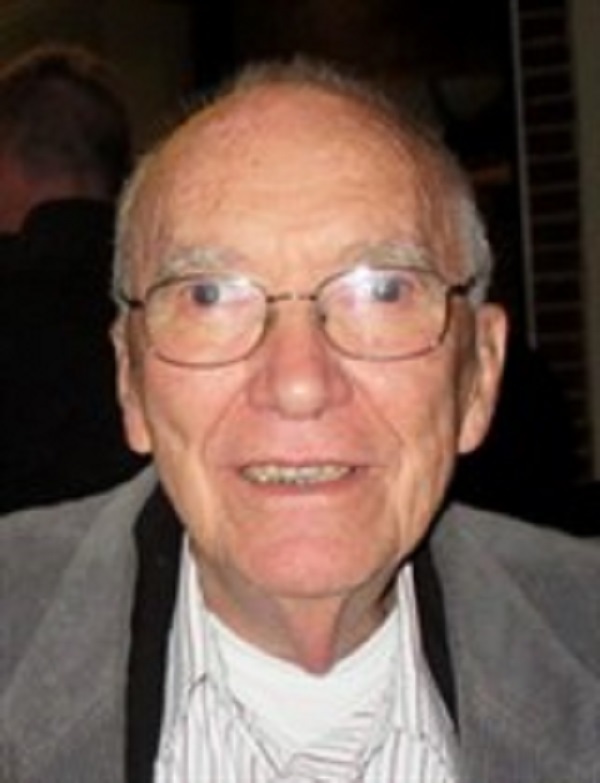 Furthering his education, Dr. Bradley was a postdoctoral fellow at the University of Wisconsin and earned a certificate in medical mycology from Duke University in 1957. Dr. Bradley is most renowned for his research into the field of Immunotoxicology, delving into the chemistry behind the interactions of drugs and toxins, as well as the role of the protease meprin. He was previously on the editorial board of the Proceedings for the Society for Experimental Biology and Medicine from 1966 to 1972, the Conference on Anti-microbial Agents in 1960, and the Journal for Industrial Microbiology from 1985 to 1995. Contributing myriad articles to professional journals and chapters to books, Dr. Bradley also held the role of editor for the Journal of Bacteriology from 1970 to 1978. In an effort to remain aware of recent developments within the industry, Dr. Bradley maintains affiliation with several organizations and societies, including the American Association for the Advancement of Science, where he is a lifetime member and a fellow, and the Virginia Academy of Sciences, where he has been on the publications committee and award committee since 2012 and 2015, respectively. Likewise, he is a member of the American Academy of Microbiology, the American Chemical Society, the Society of Protozoologists, the American Institute of Biological Science, the Mycology Society of America, and the American Association of Immunologists. As a testament to his professional success, Dr. Bradley has accrued several accolades. The recipient of the Charles Porter Award in 1983, he was named a Missouri State University Outstanding Alumnus in 1991. In addition, he received several fellowships throughout his vocation, including the Eli Lilly postdoctoral fellowship from the University of Wisconsin, a postdoctoral fellowship in the department of genetics from the National Science Foundation, and the Senior Fogarty international fellowship from the National Institutes of Health. Dr. Bradley also was honored with the Life Achievement Award from the Science Museum of Virginia in 1966. In recognition of outstanding contributions to his profession and the Marquis Who's Who community, Dr. Bradley has been featured on the Albert Nelson Marquis Lifetime Achievement website. Please visit www.ltachievers.com for more information about this honor.